We’d love your help. 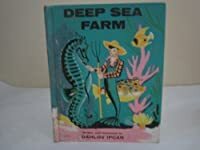 Let us know what’s wrong with this preview of Deep Sea Farm by Dahlov Ipcar. 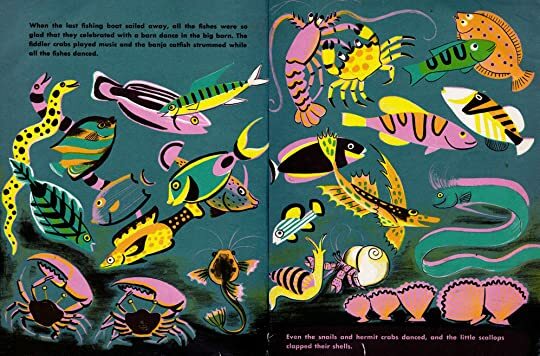 To ask other readers questions about Deep Sea Farm, please sign up. Ipcar's funkadelic artwork is the highlight of this title from 1961. 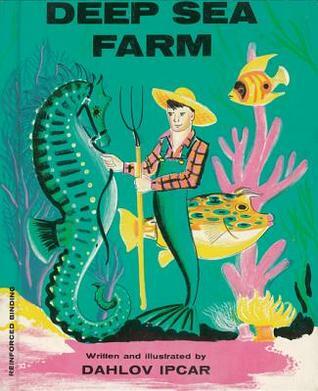 Under the sea lives a merman-farmer who doesn't want to hurt any fish. 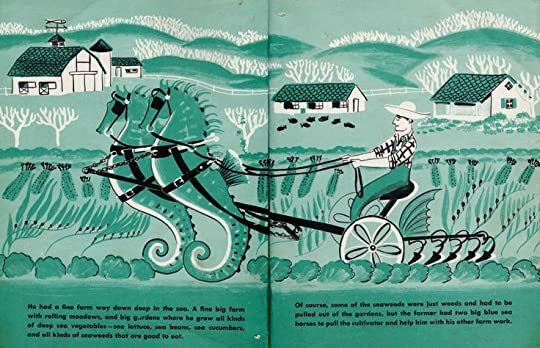 He grows seaweed and harnesses up two fine seahorses to pull the cultivator. 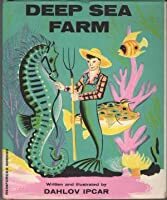 All his undersea pals appreciate his efforts at keeping them alive, so they gladly help out on his farm under the waves. 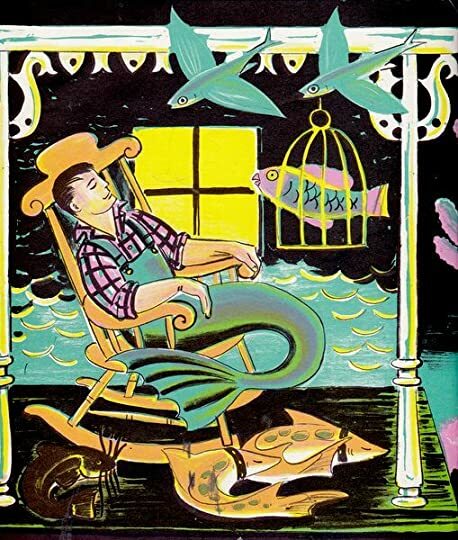 What's a farmer to do after a hard day of harvesting but relax in a rocking chair on the porch . . .
. . . with his little black catfish that hunts for sea mice by h Ipcar's funkadelic artwork is the highlight of this title from 1961. Why is a merman wearing overalls? Why do those overalls seamlessly glide into his tail fins? Why does he hunt some fish for food and the others are his buddies and he saves them from fishermen? Who gave that crab a pitchfork with wild abandon? How does his lil hat stay on underwater? 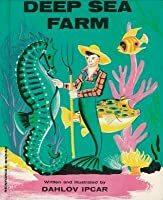 Read this book and none of these questions will be answered, but in where else are you going to find a farmer merman with idyllic 50's illustrations? Nowhere, folks, nowhere. Dahlov Ipcar was an American painter, illustrator and author.